Does Bread Have Dairy Products? A classic English breakfast is not complete without the Earl Grey tea. Named after Charles Earl Grey, the British Prime Minister in the 1800's, it has since been made popular worldwide by the distinct flavor and aroma of its black tea leaves blended with bergamot oil. Apart from its distinct flavor, Earl Grey tea is also a common-cure from the discomforts of a cold and flu and provides many other health benefits that may further encourage you to add it as a part of your choice beverages. The science of aromatherapy has been proven to alter mood and alleviate depressive symptoms. This is one benefit of bergamot that many people have grown to love. The aroma of bergamot is said to replace feelings of depression, tension, fear and stress and can put anyone in a relaxed state of well-being. What goes on inside our body is a vital concern that many of us have. Having anti-oxidant properties ensures that any damage caused by free radicals can now be remedied just by consuming one cup of Earl Grey Tea per day. One of the most popular effects of Earl Grey tea is weight loss due to its citrus extract. In fact some believe citrus fruits even do reduce weight. Calories are either broken down into food for the muscle or released through the natural metabolic process. So instead of cream or sugar, try putting lemon instead. Earl Grey Tea enables the human body to be relaxed and soothed almost instantly. As opposed to the heart-racing effects of coffee or espresso, this tea de-stresses the individual, while providing clarity and focus which can be beneficial for those who do not want to be “too-wired” from caffeine. Earl Grey tea has the same energy boosting effects of coffee with less caffeine amount. For a more enhanced effect of the tea, just brew multiple tea bags then add honey instead of sugar and lemon instead of cream. Unlike coffee that has dehydrating properties, tea helps one stay hydrated and maintains the body's fluid balance due to its high potassium content. The caffeine level in tea is significantly low at 14 to 61 milligrams per 8 oz cup compared to coffee's 92 to 200 milligrams. What’s more is that it is also a calorie-free drink. 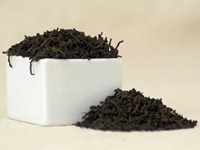 Black Tea has generally had a bad rap for staining teeth. However, many would be surprised to know that Earl Grey Tea is an excellent source of fluoride that keeps teeth strong and cavity-free. As it is also sugar-free, it is a beverage that can help alleviate the growth of bacteria that can produce enamel-damaging acid in our teeth. Painful indigestion causes much discomfort as well as worry. Earl Grey Tea can provide relief in alleviating symptoms of colic, nausea, and other intestinal problems. Bergamot as a cure for fever and other intestinal problem is part of an old Italian folklore medicine that people have adapted throughout the years. It is said to improve the immune system, cure fever, as well as sooth and reduce stress. This kind of relief makes Earl Grey tea a safer alternative to taking prescription medications. A study showed that one of the beneficial effects of tea is that it aids the effective functioning of the circulatory system that may affect the heart. It reduced the bad cholesterol levels by 39 per cent, blood sugar by 22% and raised good cholesterol in just a month after taking the tea extract. A standard black tea may be the simplest concoction to prepare allowing you to enjoy it right away. Just prepare a teapot, Earl Grey tea leaves and quality water that you need to boil. For the adventurous types, here are some recipes. Ingredients: 1 tsp. 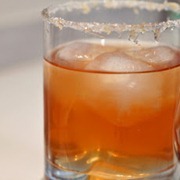 Earl Grey tea leaves, 1 jigger fresh lemon juice, 2 jiggers gin, 2 fluid ounces simple syrup, 1 wedge lemon, white sugar. Directions: Using a small glass, pour in some gin and include the tealeaves, letting it be infused with the flavor for about 2 hours. Use the lemon wedge to moisten the rims of the 2 glasses and dip these into a plate with sugar, both of which add flavor and garnishes the beverage. Strain the tealeaves-infused gin and add to this the lemon juice and the simple syrup. Pour the concoction to a cocktail shaker and add ice. Cover and shake until frosted. Strain the mixture into the sugar rimmed glasses and serve. Ingredients: 3-4 bags of Earl Grey tea, 1 cup granulated sugar, 1 cup water, 1 vanilla bean, seltzer water, half and half of whole milk. Directions: In a small saucepan, mix vanilla bean and simple syrup. Rub the vanilla bean in the sugar until the mixture fragrant. Add the Early Grey tea and water. You can use 4 bags depending on your preference. Stir until the sugar is dissolved on medium to low heat. Bring to a boil. Remove tea bags using thongs. To make the soda, fill an 8 oz glass ¾ full with Seltzer water. Add ¼ to 1/3-cup syrup according to desired sweetness. Top with half and half.